Estimates for the UFC 230 buyrate are in. Dave Meltzer of MMAFighting.com has revealed that the event looks to have brought in around 250,000 pay-per-view buys. UFC 230 featured a heavyweight title bout. 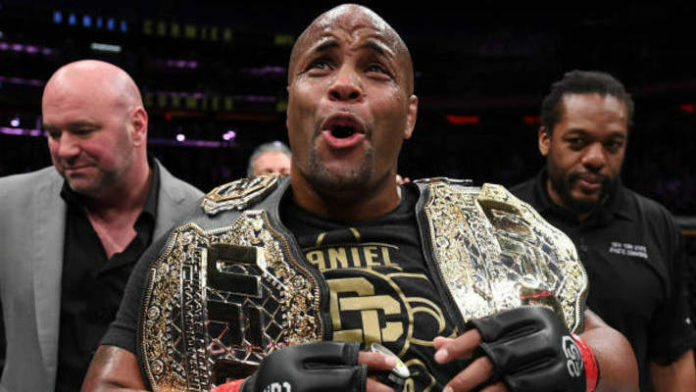 In the main event, champion Daniel Cormier successfully put his heavyweight title on the line against Derrick Lewis. Cormier earned a second-round submission win. The co-main event saw former Strikeforce middleweight champion Jacare Souza take on former UFC middleweight title holder Chris Weidman. Souza earned the third-round stoppage. After Cormier’s victory over “The Black Beast,” he appears to be set for a “money fight” against WWE Universal champion Brock Lesnar. The issue lies in the reported terms of Lesnar’s new WWE contract. “The Beast Incarnate” is allowed to have another UFC bout, but with Roman Reigns being out of action, the WWE is turning to Lesnar as its top draw. This has led many to speculate that the WWE will try to avoid having Lesnar fight before WrestleMania. If Cormier doesn’t get a fight with Lesnar, then he has expressed interest in a third bout with Jon Jones. The Cormier vs. Jones feud is at 0-1, 1 NC with Jones winning the first encounter. “Bones” initially knocked out Cormier in the rematch, but popped for turinabol. Did the UFC 230 buyrate meet your expectations?